"Great to work with, enjoy MAZAYA alot. 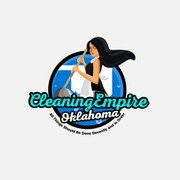 Thank you for the awesome logo!" "It has been fun and exciting working on this project. Thank you to all the artist who participated and the 99Designs team. Special Thank you to Senandung_Melodi for all the help and creativity. " "Just one word: Excellent! " "Patient, responsive, professional. 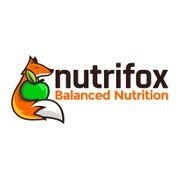 All fine with our new logo." "aL Barokah put together a logo that communicates my company's style and helps position it in the market. al Barokah was enormously responsive to my comments throughout this process, and it was a joy to work with him." "a professionnal!! fast and good thanks Adil"
"Even when we thought the logo was perfect, she managed to pull a rabbit of the hat and make it even better. Super fast turn-around-time when we made revisions during the handover." "Excellent Experience! I can warmly recommend *Senandung Melody to everybody! Will exceed your expectations!!!" "Great design work and super flexible. Thanks." "Excellent service, very understanding - you must use this guy his great!" "aLBarokah answered my brief to the letter. He had his finger on the pulse of what I wanted and came up with a slick and innovative design that reflected each and every point and quickly. I highly recommend his skill! "